Richmond Suzuki has grown to become a premier SUZUKI auto dealer in the Lower Mainland, BC region. Throughout our tenure we have strived to include the best possible customer service with top-notch repair/maintenance work and comprehensive new and used car, truck, minivan and SUV inventories. Richmond Suzuki is part of a family of dealerships across Western Canada that are committed to Caring for Customers. We participate in our communities and we offer value and service to each one of our customers. If you are going to be in another city and require service to your vehicle, or if you would like to learn more about a new vehicle from one of our other manufacturers, please stop in to visit us and get the same great service and care that you would receive in any one of our dealerships. Richmond Suzuki has continued to expand as it now serves all of the greater Lower Mainland area with new and used SUZUKI automobiles. Over the years, Richmond Suzuki has grown in its current location, as we now offer a state-of-the-art showroom, Parts & Service Centres and a Finance Department. Whether you are in need of a new SUZUKI automobile or parts / service for your current vehicle, Richmond Suzuki of Richmond is here to assist you with any of your automotive needs! At Richmond Suzuki, we look forward to serving you, or valued customer, for years to come. Please stop by our dealership, located at 3771 # 3 Rd., Richmond, BC and speak with one of our representatives today! 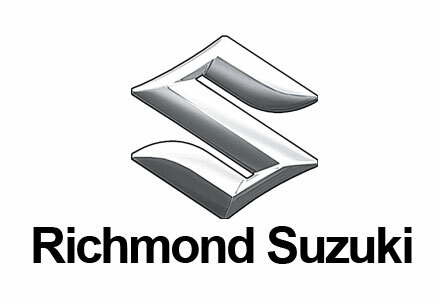 Richmond Suzuki is a proud supplier to AutoMind Collision.